Boo, that means I'm back at work! as well as getting a few things done about the house! I've used several tiny little, blue heart, buttons on my card! The base card is my usual 6"x6" square base. The image & sentiment were printed onto some smooth card. I added my little buttons to the bows on the tail of the kite. 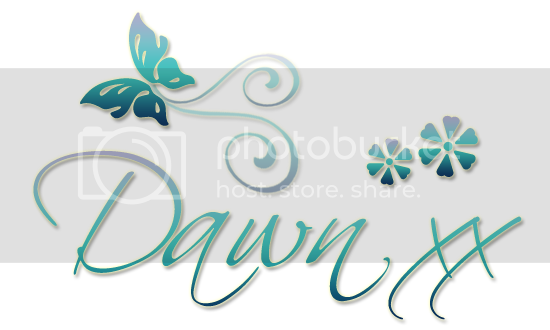 Morning Dawn, glad to hear you had a wonderful week off and enjoyed the festival. A gorgeous card and love the cute buttons.. Wonderful card, love how you have used thebuttons. Thanks for joining us at Brown Sugar this week for our "Buttons and Bows" challenge. How sweet. I love that kite....and you pieced all the little bows too :). Your cloud background is awesome too. Thanks for playing along with us at Little Red Wagon. I love your card Dawn and all the cards I've missed while I've been away from blogland! You are such an incredible designer and each of your cards are brilliant like you! Hi Dawn. I've never made it to the Edinburgh Fringe so very jealous of you. Love this card, the colours you have chosen are beautiful. 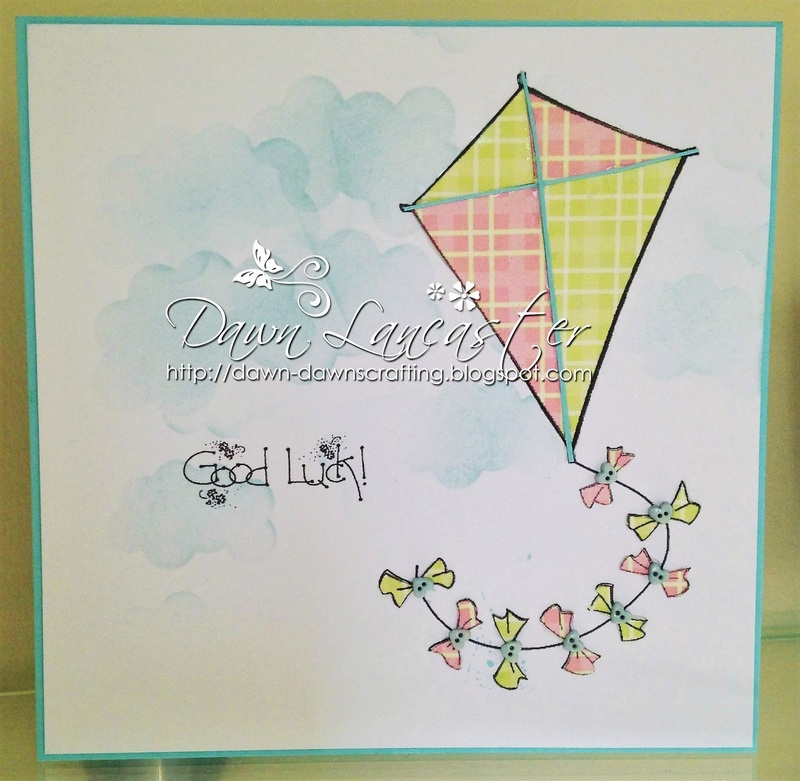 Such a pretty card Dawn, your cloudy background is perfect. This is very nice... love it! 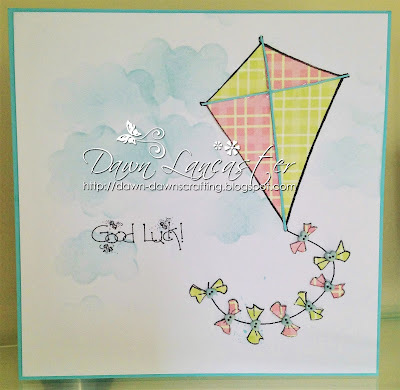 Pretty CAS card, love the buttons on the tail of the kite...Thanks for joining Brown Sugar Challenge! Lovely card. The colors are so beautiful. Thanks for joining our challenge at CC & CC. We hope to see you again! Lovely card! Love the addition of the tiny buttons!! Thanks for joining in our 'Fly away' challenge at In The Pink!